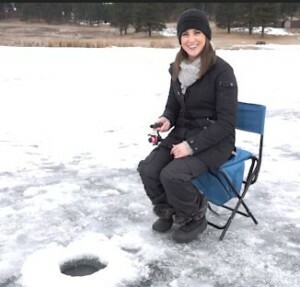 It's the perfect time of year to head out to your nearest lake and do some ice fishing. 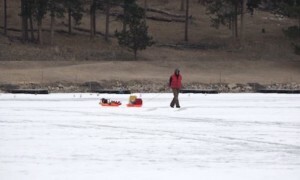 NewsCenter1’s Samantha Chadwell is taking us ice fishing for this latest edition of “Into the Hills”. SHERIDAN LAKE, S.D. 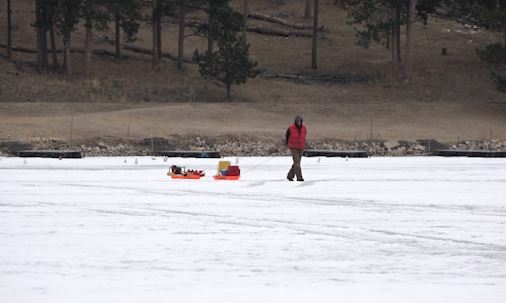 – From now until March is prime ice fishing season here in the Black Hills. Since I had never been before, I wanted to give it a try. Fortunately, I was going with a very capable group from Outdoor Campus West. When we arrived at Sheridan Lake, I was able to purchase my fishing license online using my phone. After purchasing the annual fishing license, I was ready to grab some gear and hit the ice. There were several pieces of equipment that we had for the day. 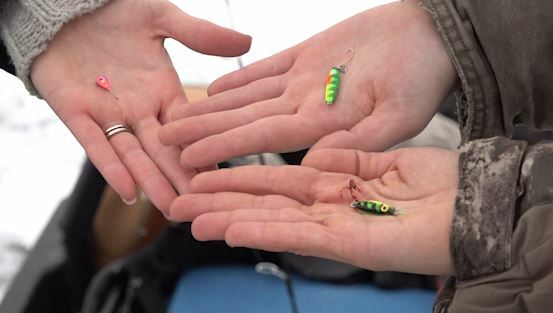 Everything from really high tech items, like a depth finder, a shelter and a battery operated auger… all the way down to some tiny fishing poles and lawn chairs. Keith Wintersteen with Outdoor Campus West was willing to let me drill the first hole. When it comes to drilling a hole in the ice, this was definitely a first for me. The blades on the auger were extremely sharp, so drilling this whole was pretty effortless. It took me a couple trie s to get it right, but i finally figured it out. We had two different kinds of worms and some salmon eggs or roe. I started out with the pink worms and eventually switched to all three by the end of the day. Fortunately, Keith let me use the depth finder to help me track the fish as they swam around my bait. “The transducer sends out a signal in the shape of the cone. When the fish first enters the cone, it shows up as green and when it gets closer to the center it gets red. What we’re gonna do now is drop that all the way down to the bottom at about 10 feet because there may be fish down there. If he doesn’t like us, let’s go somewhere else,” said Wintersteen. I kept patiently waiting for a fish to bite, but I apparently lost their interest. My fellow “fisher-women” were having a lot more luck than I was. 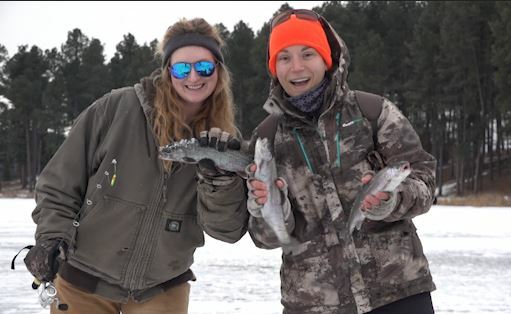 Brittney caught two beautiful rainbow trouts and Rachel caught one. When it started to get a little colder, we went inside our shelter to try fishing in there. Since it was light out and completely dark inside the shelter, the ice literally was glowing beneath our feet. Talk about an amazing experience. After I warmed up, I decided to head back out into the cold one last time. I was the only one who didn’t catch anything, I didn’t care. It was so much fun to be out on a frozen lake, with new people, making new memories. Even if we didn’t have all the fancy equipment like the shelter, the heater. We still had a great day and truly enjoyed one of the amazing activities that the Black Hills has to offer.